But what methods are really most effective in gaining leads? When you're starting a floral business, knowing the right way to market is huge. For that matter, it's important to know the right ways to market even when you've established your business. Be careful about buying into the "we did zero marketing" Shark Tank line. You do need marketing. Even the people with "zero marketing" actually did marketing without realizing what they were doing. But not all marketing efforts are created equal. We have a really simple rule about advertising your wedding floral company, $1 in advertising should provide more than $1 in profit (not revenue...profit). And not all marketing efforts will do that. A website is the #1 marketing tool that you absolutely cannot live without. Why? Because the ultimate goal of yor website is to show off your work and capture a new lead. 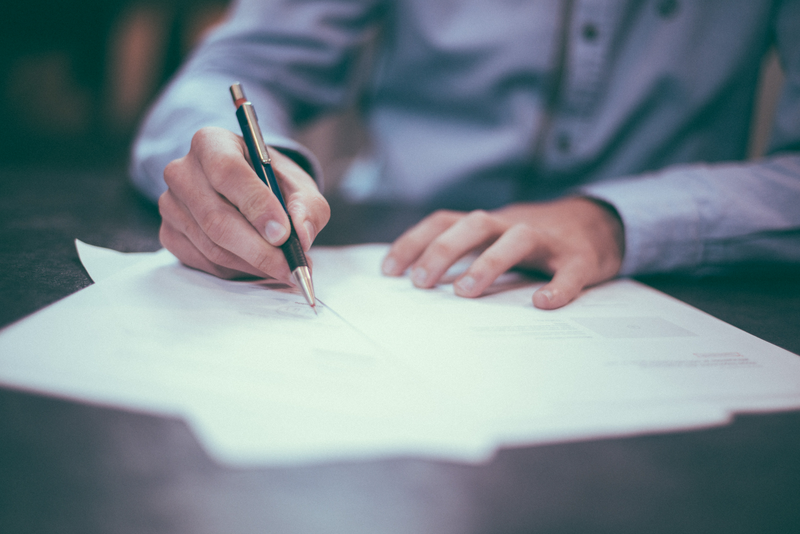 Potential clients want to have an idea of what to expect from you before they attend an initial consultation. The costs for developing a florist website are relatively low when you consider how much business they will help you bring in. You could get started with buying a domain and hosting package from HostGator and a simple Wordpress-powered theme from Theme Forest and build it out yourself if you have the time and some basic knowledge of web development. Squarespace is another cool tool for being able to build out a simple site. Or you could spend a little bit of money on hiring someone to help you out. Even if you do not invest much money into your website initially, you will have a fully functional site that will capture leads by showing off your work if you follow those four principles. If you later decide that you need to update your website to better attract a certain clientele or match your style as a florist, it will be easy enough to upgrade your website like we did and incorporate little tricks to increase your wedding conversions significantly. 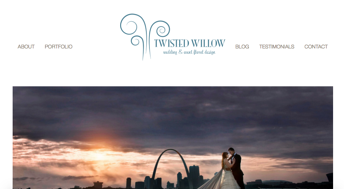 Check out the difference between our initial website and what the Twisted Willow site looks like now! One of the biggest mistakes florists make is starting a blog. If you are not currently a blogger, go ahead and hold off on starting one with your site. Yes, it's odd that you are reading a blog telling you not to start one, but it really is sound advice. Blogs make many more florists look bad than they make them look good because someone with good intentions just doesn't give updates. We (at Curate) love this blog because we can share our experiences. But, I'll be completely honest with you, if our blogging didn't help us bring in customers, we would be finding other places to share our experiences in growing a company that did. We're a business. And so are you. So with anything you put on your site, you have to ask, "Are customers more or less likely to book with me if I add this blog/feature/whatever?" Some hate them. Others put up with them. 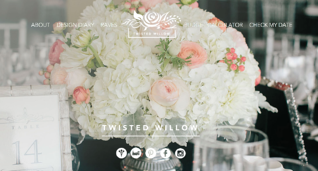 Yet, one of the cornerstone pieces in the growth of Twisted Willow over the past two years has been wedding shows. As we started our company, we didn’t know how effectively advertising was so we started with a show and it was a great decision. So great of a decision, that we average 45 consultations booked per show and our record is 100 for a large two-day show. 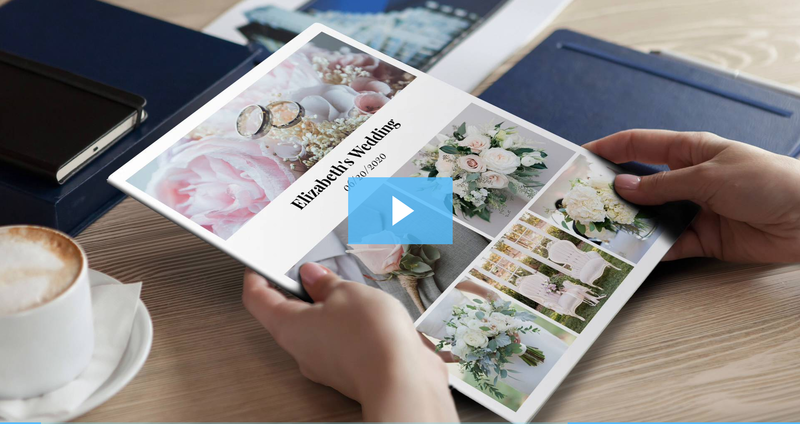 Overall, we have found them to be incredibly beneficial, especially since we developed with this remarkable little trick get more wedding show leads. So, what are the keys to being effective at a wedding show? Before you go into the show, know exactly how you will process new leads. Your end goal is simple: get the bride signed up for a consultation. Bring beautiful examples of your work. This doesn’t have to break the bank. Find something classy that’s not going to ruin your advertising budget. Be sure you communicate with the company putting it on to get a spot near the front. There's a million negotiation techniques that could help with that but we're out of room on this post. Don’t drop the conversation mid-sentence when you find someone already has a wedding florist. Are they asking too many questions? Answer the questions! If you’re not genuinely interested in the clients, you may as well close up shop and go home. If you do have to drop a conversation, just give a reason and move on. There are times when someone is a potential client, but they are taking too much time when you're missing others passing by your booth. Just say,"Wow! It's piling up in here. What would be best is to set up a consult where we can discuss all these details." Then tell them your process for setting it up and excuse yourself to help others. Are they paying for your flowers in your style shoot? If not, you need to have incredibly tangible results coming out of it. 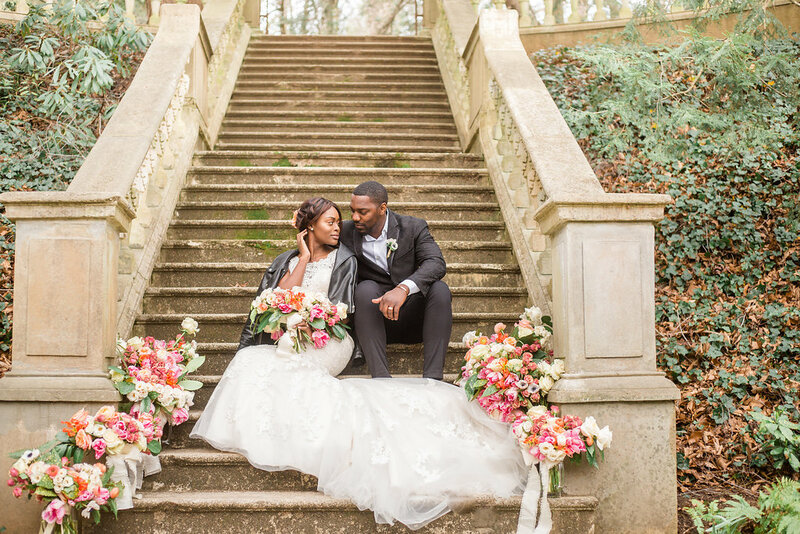 We have shared a whole long article about why florists say "No" to styled shoots. As author, Amanda Veronee, explains the reason for saying no (to free shoots specifically) is this: flowers are perishable. For me to do a styled shoot (bouquet, centerpiece, cake flowers, other large ceremony display, etc.) is expensive relative to what other vendors PAY to be involved in a styled shoots. Take out of the equation the babysitter I need for my son and gas and it’s still about $750 WHOLESALE...The flowers cannot be reused again, and that expense is entirely a waste other than for the (lovely, I’m sure) photographs...For a style shoot florist, the return is very low. From a business standpoint, it’s almost a waste of money unless someone is new to an area, new to the market, or wanting to make certain connections that can’t otherwise be made on social media or over coffee. 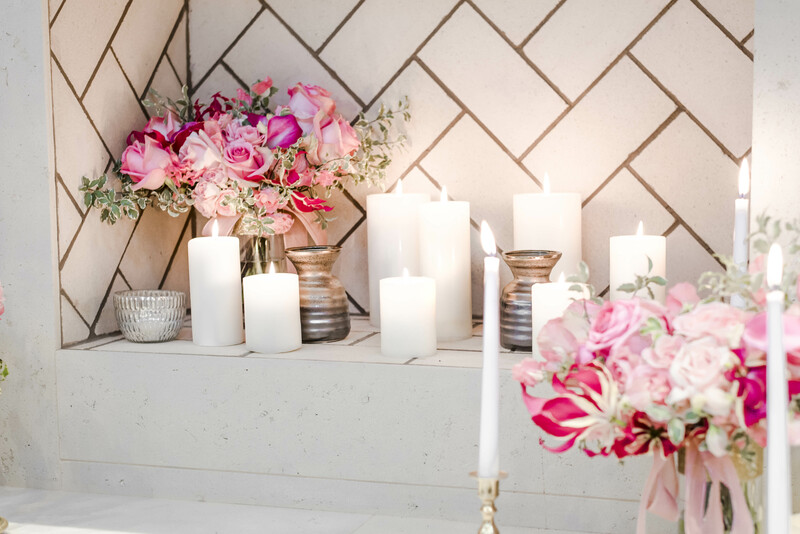 If you are asked to do a styled floral shoot for free or in trade for the images, Amanda recommends offering your time and service free (just like anyone else involved in the photo shoot), but to ask that the wholesale flower and supply costs be covered because those costs cannot be recouped. That's not to say that, when you're new, that inspiration shoots aren't a great way to get your name out, meet new vendors, and make friends. And having your work featured in a big publication does make you feel accomplished but, ultimately, brides will most often book you, not because you were published in certain places, but from past bride reviews, word of mouth, etc. The only time I recommend being willing to pay for the flowers of a style shoot is when you have absolutely no photos of your work and / or you are moving to a new style and new clientele. But be completely sure that the photographer will do you justice for the hundreds of $$ that you'll have to pay. Your social media presence is essentially a core part of connecting your message and experiential branding, make sure it's consistent and is truly social. Be sure to include your logo as your profile image and then give potential clients a first look at your style by strategically placing a photo of your work as your cover image. Social media marketing (for the non-gurus) is not a prime place to get clients but it is something that clients check out to make sure that you're who they would want to use. I know of some florists who get a good amount of their work from social media, but those have typically been smaller, niche florists who do 10-20 weddings a year. If you can do it, go for it! It is so crucial to start networking with other professionals in the wedding industry, not just potential clients. We receive a large portion of our weddings from other wedding vendors who refer us. When networking, it's easy to try to hard (and it comes off that way). Just start chatting with people and ask them about what they do. The best connections will come naturally. Just start talking about life and common subjects. The EASIEST and best solution is to ask questions about THEM. What do they do? How did they get into weddings? What kind of camera do they use? Do they have clients who price shop in their industry too? Don't tell about yourself unless they ask. The only way to really get this down is to actually, genuinely care about that other vendor. If you're just faking it in hopes they'll extend their favor, it's not worth it. We've seen it a thousand times (and dollars) over, being kind reaps incredibly huge rewards. When we first started, we sent out emails asking to be on people's preferred vendors list. Bad idea. :) The effort was worth it because we learned but if people don't know about us, they don't want us on their preferred vendors list. On the flip side, there were times when Rachael would just stop in a place and introduce herself and ask questions about THEM. By the end of the conversation, they said, "We're going to add you to our website to our preferred vendors list!" That said, most of our wedding referrals didn't come from a written down preferred vendors list. It came from the vendors themselves referring us. Set up a goal for yourself. My wife set a goal for herself to meet 2 new people in the wedding industry every week. That could be as simple as stopping by their store, going to an industry event, sending an email, having coffee. Whatever. But every week, a new person in the industry would have been introduced. Nobody immediately started a warm and fuzzy relationship with us. But over time, there have been some great friendships built because we set a goal of exactly how many vendors we needed to meet every week. We know that not every florist is in a place where they need the super powers of Curate so we're sharing an updated version of our old Excel Recipe Spreadsheet from Twisted Willow with you to help you until you're ready for a tool made for professional florists. Do you have more than 1 inquiry coming in every week? You probably need a professional tool with more power, accuracy, and style that was made for florists. Use Curate with a 60 day risk-free subscription.